The status of Turin’s violin making at the end of the 19th century in some ways echoed that of the early part of the century, when a large number of French and Italian makers moved to the city to capitalise on their considerable skills. These included Alessandro D’Espine, Giovanni Francesco Pressenda and Giuseppe Rocca, who were among the finest 19th-century makers, but by the mid-century their fortunes had soured and all three died in poverty. By contrast, the surge in demand seen in post-Risorgimento Turin at the end of the century ensured the new generation of makers a far longer-lasting success. 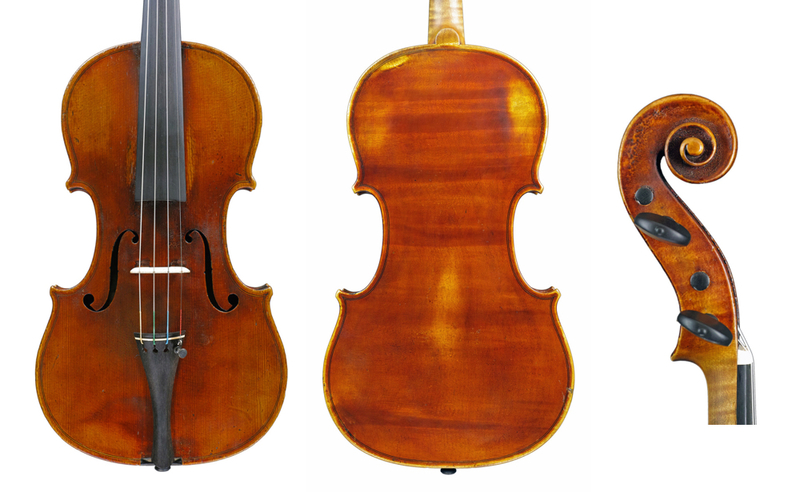 After Rocca’s final departure in 1863, Turin’s violin making remained in the hands of Antonio Guadagnini and Benedetto Gioffredo ‘Rinaldi’, both of whom produced relatively few instruments and were evidently primarily engaged in dealing and repairing. When Antonio died in 1881, his son Francesco initially continued in his footsteps as a dealer, but by 1888 he was in direct competition with Gioffredo’s descendant Romano Marengo ‘Rinaldi’ and Enrico Marchetti. During the early 1890s Marengo also turned to building new instruments and from then on produced them in large numbers, progressively developing more commercial means of production. This seemed to be consistent with the approach of most industries of the period, with well-established brand names able to turn larger profits through improved communication and trade with other countries. Employment of less skilled but cheaper labor facilitated such expansion. Strong industrial progress in northern Italy led to Fiat and Lancia, the two leading Italian auto makers, being established in Turin between 1899 and 1906. By 1911 the city’s population had grown to over 430,000. Italy’s new industry-based economy led to a renewed interest in musical performance in the larger cities. The demand for old and new instruments prompted an unprecedented number of craftsmen to turn to violin making, resulting in a concentration of superb young violin makers in these cities. Turin once again became a major hub of violin making. The level of competition there was intense, and this may have influenced Celeste Farotti’s decision to abandon his native Piedmont (he was living in San Germano, near Turin) in 1900 and move to Milan rather than Turin. By then Turin was providing employment to no fewer than five violin makers – Annibale Fagnola, Carlo Giuseppe Oddone, Romano Marengo, Francesco Guadagnini and Giorgio Gatti. The early 20th century would also see the start of Evasio Emilio Guerra’s early personal production, as well as Enrico Marchetti’s numerous instruments from Cuorgnè, a town just north of the city. Milan, which had primarily only the Bisiach workshop and the Antoniazzis, may well have seemed less ominously competitive to Farotti by comparison. By the 1910s Turin boasted the greatest number of superb young makers of any city in the world and it appears that, apart from the rise of international clientele, much of their production would also find local markets. Dominant among these makers was a particularly talented trio: Oddone, Fagnola and Guerra. Though the best works of several outstanding Italians of the epoch could match the quality of them individually, as a group Turin’s most formidable trio remained unmatched throughout the 20th century in quality, quantity and longevity of output. Oddone, a native of Turin, was about six months younger than Romano Marengo, nearly a year Fagnola’s senior and nearly ten years older than Guerra. He received a traditional early career start, beginning his apprenticeship at about the age of 14 in the workshop of Gioffredo Rinaldi. He stayed with Gioffredo for around five years until the latter’s death in 1888. When Romano Marengo succeeded to Gioffredo’s establishment that year, Oddone soon left Italy for London to work for Frederick William Chanot. This was probably the first time since Vincenzo Panormo in the mid-18th century that an Italian maker of consequence had ended up in the British capital. The move defined Oddone’s future violin making style. Working at a well-established Anglo–French workshop gave the young man a clear advantage over many of his compatriots, most of whom lacked the opportunity to examine fine old Italian instruments. Restoring master Italian instruments allowed him a first-hand knowledge of their models and styles, later aiding him in the development of his own highly recognisable model, which shows an affinity with the precision and finesse of the French schools of the period. Oddone’s first stay in London ended in 1892, when he returned to Turin and began making instruments still substantially influenced by the Anglo–French style then generally prevalent in England. During these final years of the 19th century, before adopting his definitive style, Oddone collaborated with the Rinaldi and Guadagnini workshops. His most inspired personal work, however, appeared shortly thereafter, by which time he was operating independently. When in 1899 Fagnola also opened his shop in Turin, Oddone returned to London to form a partnership with the violin dealer Carlo Andreoli. This relationship was short-lived and later that year Oddone was back in Turin running his own business alongside Fagnola, Marengo Rinaldi, Guadagnini and Gatti. Fagnola was, unlike Oddone, a late bloomer. He did not follow the standard path of apprenticeship, but ended up achieving an even greater success than practically any of his Italian peers. The first of eight sons, he grew up in Montiglio Monferrato, where he worked as a baker, but appears also to have been interested in the playing and making of guitars. He moved to Turin in 1894, initially continuing his first calling, but soon may have begun making violins as an independent amateur. Most experts agree that his first recognisable instruments date from around 1897. Though largely self-taught, he probably received some training from Marengo and advice from the dealer and collector Orazio Roggiero. He then likely made instruments to be sold in the Rinaldi shop, which at that time also dealt in those by Oddone and Marchetti. Marengo was successfully competing with the Guadagnini workshop, headed by the young Francesco, as well as that of Giorgio Gatti. It is highly likely that dealing in old and new instruments was then Marengo’s main activity; his own violin making abilities were inferior to those of his more talented colleagues, so shrewdly he made good use of the exceptional skills to be found elsewhere in Turin, thus improving the level of his stock rather than decreasing its quality as was the general rule in other workshops. Naturally, this was only possible during the early stages in the careers of his able collaborators. Fagnola’s innate talent for violin making quickly became apparent to his growing clientele and by 1915 he was so well established that he could lead the life of a working gentleman, something not often seen in Italian violin making of the period. With increasing demand for his instruments, he was in a position to employ the help of several well-known assistants and pupils, such as Riccardo Genovese, Stefano Vittorio Fasciolo and his own nephew, Annibalotto Fagnola. However, it was in Guerra that he found a near-equal, willing to help him satisfy the demand for his instruments. Orders from abroad (mostly from the USA and UK) continued pouring in from the early 1920s, confirming Fagnola as the pre-eminent violin maker of his day, despite the stiff competition from his contemporaries. Fagnola died late in 1939 and with him ended the greatest epoch in Turin’s modern violin making, Romano Marengo, Oddone and Marchetti all having died some years previously. The torch of leadership in Turin’s violin making would then pass to Guerra. Guerra spent his career working for other violin shops, as well as making numerous instruments independently. Despite being ten years younger than Fagnola, Guerra probably began making violins before him, perhaps as an apprentice within the Guadagnini and the Marengo-Rinaldi workshops. Oddone is usually credited as his main mentor and it seems that Guerra also worked for him at the beginning of the 20th century. But prior to that, his hand is discernible in some early instruments of Francesco Guadagnini, and later he seems to have gravitated to the Fagnola workshop. Before the end of the 1910s Oddone and Fagnola were to emerge as the city’s greatest stars, with the younger Guerra, in terms of the quality of his production, perhaps a close second, although Guerra continued collaborating with other workshops for some years to come. Both Oddone and Fagnola died in the run-up to World War II, leaving Guerra and Francesco Guadagnini as practically the sole fine makers remaining in Turin during that difficult period. Then in 1948 Guadagnini also died, ending that great clan’s nearly 200-year-old history. 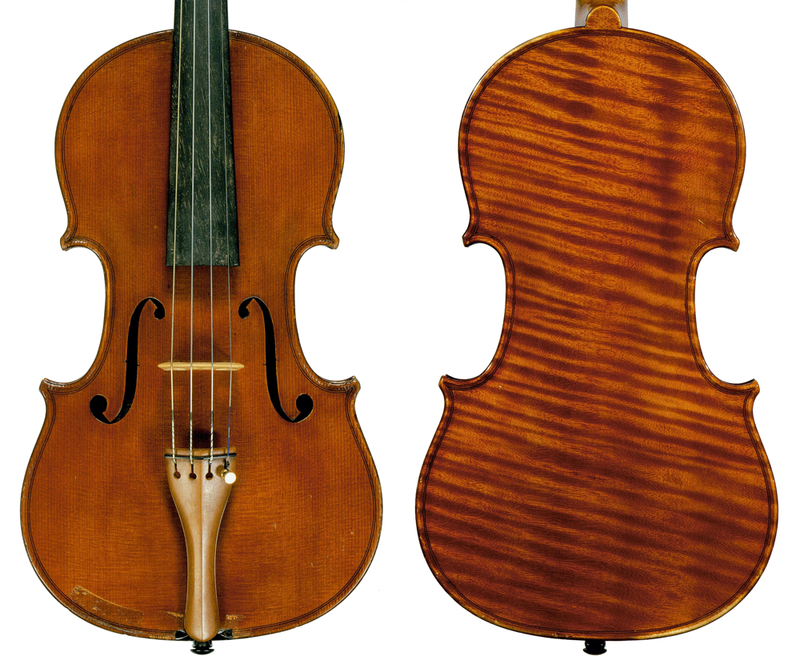 Although Guerra was the last violin maker of the great modern Turin school, in the mid-1950s the tradition passed to the able hands of Plinio Michetti, who had moved to Turin from Liguria in the 1920s, adopting many of the techniques of his predecessors, in particular Marchetti and Fagnola. By the 1960s, artistic violin making had practically ceased in Turin, although a few talented makers continued to pop up now and again, the best of whom was perhaps Arnaldo Morano. In part 2 Dmitry Gindin explores the stylistic development of these three makers.